The Grenada Chocolate Company is just a house, painted in bold Caribbean colours, over the road from the prime minister’s modest residence. The only difference from the other wooden houses in the street are the solar panels among the palms in the front garden, and a huge home-made solar dryer where Green is experimenting with drying bananas. The doors are open; Caribbean breezes, the same winds that will carry the Tres Hombres around the Azores to Britain, waft over a wooden veranda. Former bedrooms and living rooms are home now to a mixture of antique, home-made and very 21st-century chocolate processing machinery. Green himself sleeps on a mattress in the corner of a staff coat room. The only air-conditioning is in the tiny moulding and wrapping room, which also serves as storage for the finished bars, each one embellished with a hand-written best-before date. 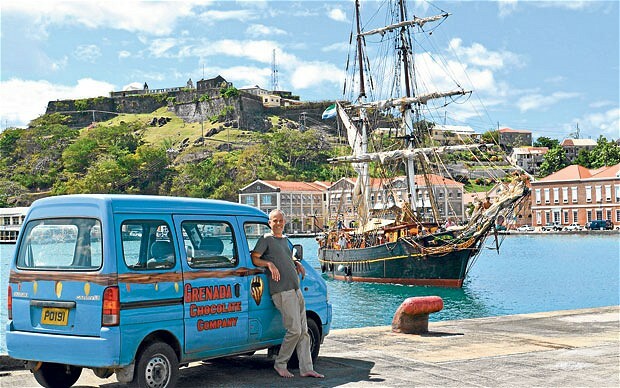 via Why the Grenada Chocolate Company is the pride of the Caribbean – Telegraph. 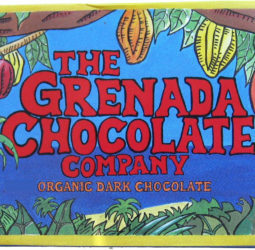 Mr. Green founded the Grenada Chocolate Company in 1999. Its slogan was “tree to bar,” but that did not capture the breadth of the endeavor. Working with small cocoa farmers in Grenada and as many as 50 factory employees during peak operations, all of whom earned the same salary — and probably more than he did — Mr. Green dried cocoa beans in the sun; built, maintained and powered the machinery to make chocolate; packaged the finished product; and cobbled together an international network of distributors, including volunteer cargo cyclists in the Netherlands. 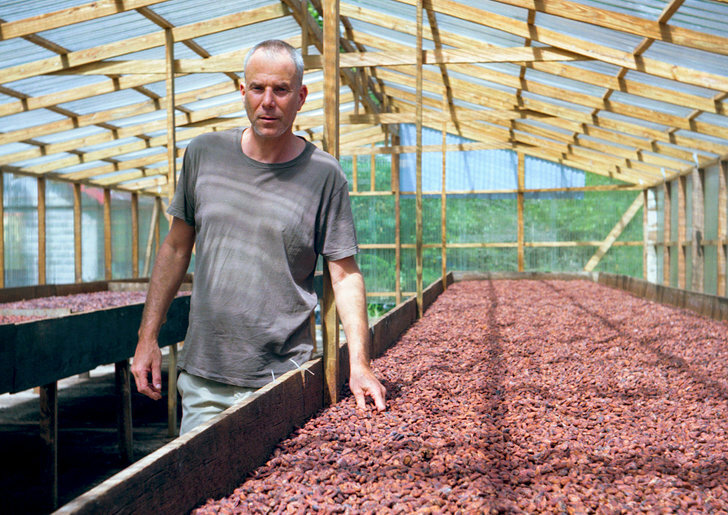 via Mott Green, 47, Dies; Founded Grenada Chocolate – NYTimes.com.